As a child, the circus was a place full of unexpected surprises, garish colors and fun. It was a place that made me smile. As an adult, I imagine the circus as a lonely place with an underlying edgy feel. 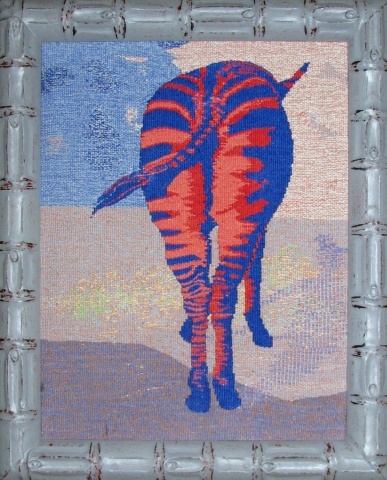 As an artist, I have selected this lone zebra in unexpected colors to convey a Behind the Scenes view of my circus memories.